As the US has not respected the Nairobi MC decision, India had decided not to take any chances by just agreeing to a Ministerial Text/Declaration on a ‘permanent solution’. Many Indian families live below the poverty line due to healthcare expenses. From 1972 to 2005, because of the lack of patent laws for drugs, Indian drug companies were able to use alternative legal processes to manufacture generic versions of drugs. These generic drug companies were able to produce low-priced drugs that were considered among the cheapest in the world. This allowed India to provide free antiretroviral treatment to 340,000 HIV infected persons in the country. Indian generic drug companies supplied majority of adult antiretroviral drugs that were bought for donor funded programmes in developing countries. In compliance with the Agreement on Trade- Related Aspects of Intellectual Property Rights (TRIPS), India reintroduced patent laws for drugs in 2015. The Doha Declaration on the TRIPS Agreement and Public Health was adopted in 2001 by members of the WTO, in response to concerns about access to medicines. It affirmed that the TRIPS agreement should be interpreted and implemented to protect public health and promote access to medicines for all. Moreover, it underscored the power of developing countries to drive through an agenda in the interest of public health and at odds with drug companies and richer economies. High drug prices are often the result of strong intellectual property protection. The 1995 TRIPS agreement introduced intellectual property rules into the multilateral trading system, including patents for drugs. In theory, it enabled countries to bypass companies’ patents, issue compulsory licences, and manufacture and export affordable generic versions of brand name drugs in public health emergencies. In practice, it was unclear how countries could make use of these safeguards. Concerns grew about patent rules restricting access to affordable medicines in developing countries, particularly access to antiretroviral drugs in the face of the HIV/AIDS epidemic. The Doha declaration marked a major shift in political and legal relations at the WTO. It established that a rules-based trading system should be compatible with public health interests. While formulating the declaration, members from developing countries had sent a clear signal that they would take steps to protect and advance their social interests. Several elements were critical to successful development of the declaration. Members from developing countries showed that by establishing a core coalition, including Brazil, India, and South Africa, and maintaining it during the negotiating process, they could prevent themselves from being outmanoeuvered by the EU-US block. The goal of the core group was supported by networks of national and international civil society groups, particularly AIDS advocacy groups, which used clever strategies to raise public awareness about the health risks from TRIPS. Moreover, the core group had the support of a much wider circle of countries. The Doha meeting was part of a sequence of events around access to antiretroviral drugs over the preceding years and happened just one month before the launch of the Global Fund to Fight AIDS, tuberculosis and malaria. TRIPS elevated WTO to the position of a key player in global health governance because it took on the role of developing and regulating patent policy. The Doha declaration also arguably helped reassert the World Health Organization’s authority as the main global health institution through dialogue with the WTO and its members. The declaration reminded the global north that the global south was not a pushover. But all this may be irrelevant. Over the past decade, the multilateral system has been progressively abandoned partly owing to shifts in the economic power balance between countries and regions. This has led to increasing numbers of regional trade agreements and bilateral investment treaties. Wealthy countries have more bargaining power than low income countries to negotiate advantageous trade rules, including delaying the introduction of generic medicines and introducing restrictions on the operation of drug programmes that would undermine the regulation of medicine prices. Corporations also hold disproportionate power in such agreements and are the beneficiaries of their rules. These power imbalances are compounded by a lack of accountability and transparency measures compared with the formal rules and dispute settlement procedures of the WTO system. The amendment to the TRIPS Agreement marks the first time that WTO accords have been amended. since the organisation opened its doors in 1995. Recently, the WTO Secretariat has received notifications from five members that they have ratified the protocol amending the WTO TRIPS Agreement. These notifications ~ from Burkina Faso, Nigeria, Liechtenstein, the United Arab Emirates and Vietnam ~ brought to two-thirds the number of WTO members who have now ratified the amendment. The two-thirds threshold was needed to formally bring the amendment into the TRIPS Agreement. Members took the decision to amend the same specifically to adapt the rules of the global trading system to the public health needs of people in poor countries. This action follows repeated calls from the multilateral system for acceptance of the amendment, most recently by the United Nations General Assembly high-level meeting on “Ending AIDS” in June 2016. “This is an extremely important amendment. It gives legal certainty that generic medicines can be exported at reasonable prices to satisfy the needs of countries with no pharmaceutical production capacity, or those with limited capacity. By doing so, it helps the most vulnerable access to drugs that meet their needs, helping to deal with diseases such as HIV/AIDS, tuberculosis or malaria, as well as other epidemics. I am delighted that WTO members have now followed through on their commitment and brought this important measure into force,” said WTO Director-General Roberto Azevêdo. 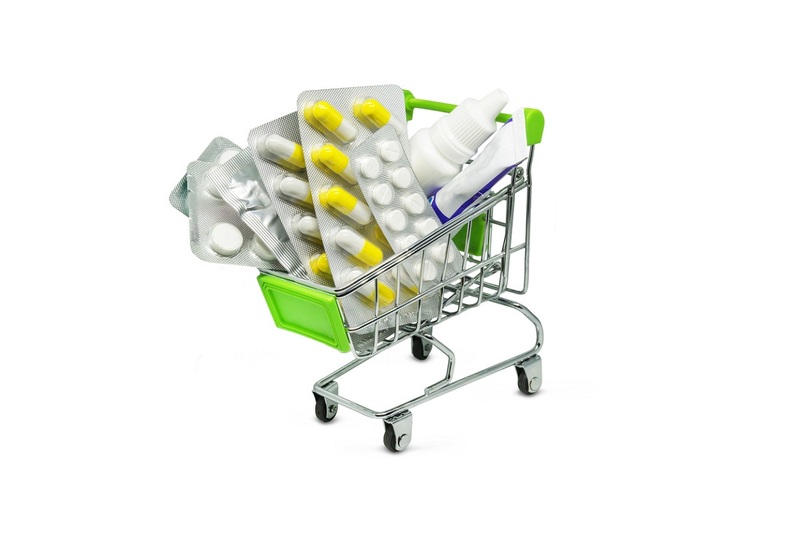 Unanimously adopted by WTO members in 2005, the protocol amending the TRIPS Agreement makes permanent a mechanism to ease poorer WTO members’ access to affordable generic medicines produced in other countries. The amendment empowers importing developing and least-developed countries facing public health problems and lacking the capacity to produce drugs generically to seek such medicines from third country producers under “compulsory licensing” arrangements. Normally, most medicines produced under compulsory licences can only be provided to the domestic market in the country where they are produced. This amendment allows exporting countries to grant compulsory licences to generic suppliers exclusively for the purpose of manufacturing and exporting medicines to countries lacking production capacity. “As important as trade policy, health and well-being must take precedence,” said Amina Mohamed, Kenya’s foreign minister who chaired the WTO General Council when the amendment was approved in December 2005. It provides a secure and sustained legal basis for both potential exporters and importers to adopt legislation and establish the means needed to allow countries with limited or no-production capacity to import affordable generics from countries where pharmaceuticals are patented. More and more WTO members are taking practical steps to implement the system in their laws to enable exports, opening up new options for potential beneficiaries to access a wider range of potential suppliers and enabling new, innovative procurement strategies cover the bulk of global medicine exports.